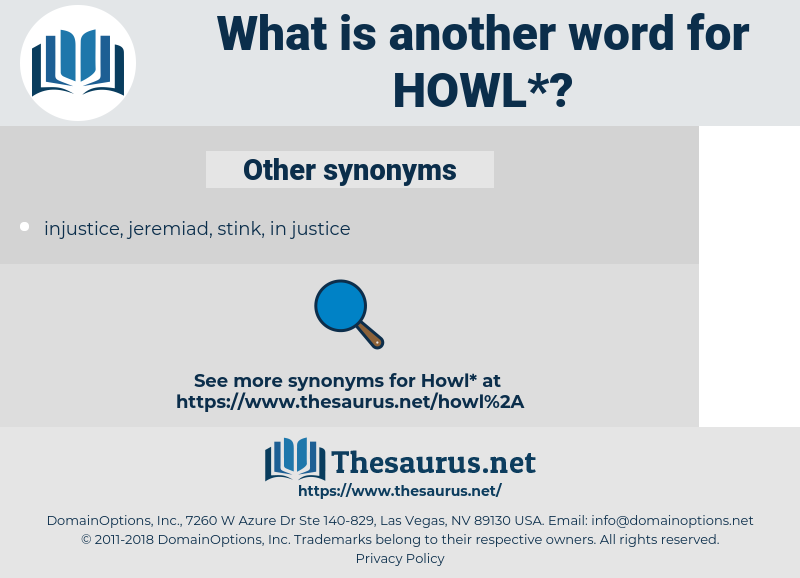 What is another word for howl? Any resonant mournful cry or sound. whimper, rumbling, murmuring, laughing, mutter, mumbling, whisper, cheering, smiling, gasp, exultation, rumble, rejoicing, mumble, murmur. 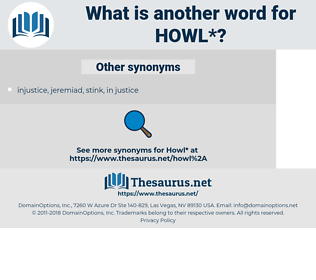 And I concluded, with an icy heart, that it was the death - howl. Once over the crest of it we should have done two miles since we heard the first wolf howl; which meant we were nearer to Billy Jones's than I had remembered. laugh, express joy, express mirth. holler, shout, call, cry, hollo, shout out, yell, scream, squall.